Collect both designs from this colourful and vibrant Holdson 'Mickey and the Roadsters' 50pc XL boxed puzzle collection. Showcasing moments from the hit show where Mickey Mouse and his pals take their unique transforming vehicles on humorous high-spirited races around the globe. 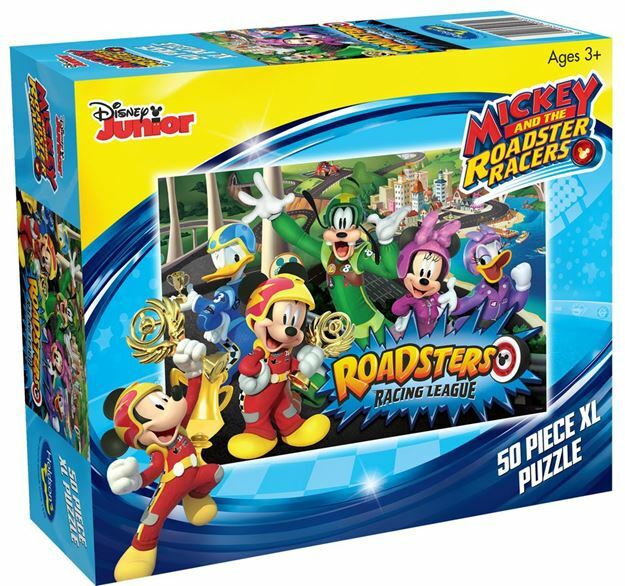 Titles include: Roadsters Racing League and Speed Roadsters. Each design sold separately. Collect both designs. Age 3+ years. Made in New Zealand by Holdson. Approximate puzzle dimension: 498mm x 343mm. Box size: 195mm x 165mm.